"...​There was an increase in the production of ATP upon being exposed to light, with a consequential increase in life span." metabolites accumulate in mice, rats and swine when fed a chlorophyll-rich diet." Xu C et al., 2014. EAT GREENS! PLANTS AND WORMS CAN USE CHLOROPHYLL. HUMANS??? Researchers in a novel study, Light-Harnessing Chlorophyll Pigments Enable Mammalian Mitochondria to Capture Photonic Energy and Produce ATP, "propose that through consumption of plant chlorophyll pigments, animals, too, are able to derive energy directly from sunlight." It was always thought that just plants used the sun to make energy in the form of photosynthesis. But, in this study, the researchers showed that "mammalian mitochondria can also capture light and synthesize ATP when mixed with a light-capturing metabolite of chlorophyll." When the researchers fed the metabolite (of chlorophyll) to the worm, Caenorhabditis elegans, there was an increase in the production of ATP upon being exposed to light, with a consequential increase in life span. "The implications of this study are truly profound. ATP production is essential for the health of our body, from the level of the cell all the way up. When ATP production is compromised through suboptimal nutrition, environmental exposures, or non-adaptive stress, disease and accelerated aging are inevitable. Even when these adverse variables are not a factor, ATP production will naturally fall off as we age, leaving a role for nutritional interventions that can help to increase ATP synthesis without, for instance, increasing oxidative stress or causing exhaustion or imbalances elsewhere. .... If this cell and animal research holds true for humans, a chlorophyll-deficient diet, along with a deficiency of sunlight exposure, would lead to significantly lower ATP production. Given this possibility, wouldn't it be amazing to begin looking at the green wavelengths of color in the produce case as a source of energy for the powerhouses of the cell (mitochondria), as potential age-decelerating agents, or as a means to increase one's sense of energy and health by allowing you to capture the sun's energies directly within your body? I believe this is exactly what this research indicates and makes it all the more compelling to go out of your way to include deep green veggies and living, chlorophyll-rich foods in your diet on a daily basis, does it not?" ​ "Sunlight is the most abundant energy source on this planet. However, the ability to convert sunlight into biological energy in the form of adenosine-5'-triphosphate (ATP) is thought to be limited to chlorophyll-containing chloroplasts in photosynthetic organisms. Here we show that mammalian mitochondria can also capture light and synthesize ATP when mixed with a light-capturing metabolite of chlorophyll. The same metabolite fed to the worm Caenorhabditis elegans leads to increase in ATP synthesis upon light exposure, along with an increase in life span. We further demonstrate the same potential to convert light into energy exists in mammals, as chlorophyll metabolites accumulate in mice, rats and swine when fed a chlorophyll-rich diet. Results suggest chlorophyll type molecules modulate mitochondrial ATP by catalyzing the reduction of coenzyme Q, a slow step in mitochondrial ATP synthesis. We propose that through consumption of plant chlorophyll pigments, animals, too, are able to derive energy directly from sunlight,"
SUN + GREENS - AN EFFECT ON ANTIOXIDANT, COQ10? What effect do the sun and greens have on the antioxidant, Co Q10? Co Q10 is a part of the ATP (energy making) system. Maintains the CoQ10 "pool"! "We propose that dietary chlorophyll or its metabolites, together with light exposure, regulate plasma redox status through maintaining the ubiquinol (Co Q10) pool." Qu J et al., 2013. "But now we suspect the combination of the two (sunlight and greens [chlorophyll] ) may actually help the body create and maintain its own internal stock of antioxidants." EATING GREENS (CHLOROPHYLL) + SUNLIGHT MAY REGENERATE CONTINUOUS CO Q10 - IMPORTANT ANTIOXIDANT!! ​In the Qu J et al. 2013 study, the researchers found that chlorophyll metabolites (from eating greens), plus ambient light can help maintain the "ubiquinol (Co Q10) pool". Here is what Michael Greger, MD, wrote about this study: "Light-activated chlorophyll in your body may help regenerate a critical molecule called Co Q10." Note that Co Q10, known as ubiquinol, is an antioxidant. "When ubiquinol extinguishes a free radical, it is oxidized to ubiquinone. To act as an antioxidant again, the body must regenerate ubiquinol from ubiquinone." And, we know, importantly, that Co Q10 is a part of the electron transport chain integral to the production of energy, ATP. powerhouses of the cells (mitochondria), as potential age-decelerating agents, or as a means to increase one's sense of energy and health by allowing you to capture the sun's energies directly within your body?" 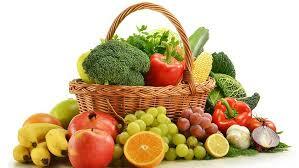 FRUITS OR VEGGIES DECREASE ESTROGEN DNA ADDUCTS? NOT FRUITS. VEGGIES! "Each and every part of pomegranate provides health benefits, that is, a neutraceutical food." Fermented polyphenols (in pomegranate)decreased tumor lesions * 42% versus controls. Extra purified polyphenols and pomegranate seed oil - *87% tumor reduction. "Both ellagic acid and urolithin A contribute to the mechanism of anti-cancer action,...."
" ...Hydoalcholic extract of pomegranate peel extract possess a high potency to inhibit proliferation of different tumors cells in a dose independent manner .."
cancer cells using the peel extract is comparable to the drug, Taxol. ​Who thinks about pomegranate peel? In their 2015 pomegranate study, Modaeinama S et al. discussed the virtues of pomegranate peel. "Pomegranate is made of a rich variety of flavonoids, which contain approximately 0.2% to 1.0% of the fruit. About 30% of all anthocyanidins found in pomegranate are restricted within the peel. Polyphenolic compounds, as well as flavonoids and tannins are abundant in the peels of wild-crafted compared to cultivated fruits. Various fractions have been extracted from the pomegranate peel and seeds using ethyl acetate, methanol and water. It is shown that extraction with methanol give a higher yield with greater antioxidant activity. The peel exhibited higher activity as compared to seeds, ascribed to its phenolic composition." Employing human cancer cells, including breast cancer cells, in their experiment with pomegranate peel extract, there were different doses of the extract, including 0, 5, 20, 100, 250, 500, and 1000 ug/ml. Results: "In breast cancer cells, the maximum growth inhibition of 83.7% was obtained at doses 5µg/ml, value comparable to that of 20 µg/ml Taxol which caused to 95.1% growth inhibition of breast adenocarcinoma cells. The lowest growth inhibition of 76.54% was obtained at dose 500µg/ml of pomegranate peel extract. The mean growth inhibition was 82.76%." Anti-estrogenic effect as it binds to estrogen receptors in the breast. But, unlike estradiol (estrogen) and Tamoxifen (a drug), the extract does not affect uterine weight. Also, no harmful effect on cardiovascular or skeletal systems. ​Sreekumar S et al., 2014. One of pomegranate's mechanisms of action: "Our earlier finding also demonstrated the role of proliferation in breast cancer by binding to estrogen receptor at the same time not affecting uterine weight unlike estradiol (a form of estrogen) or tamoxifen (a drug)." (See Ravindran and Sreeharshen, Punica granatum and its Therapeutic Implications on Breast Carcinogenesis: A Review, BioFactors, 2015.) 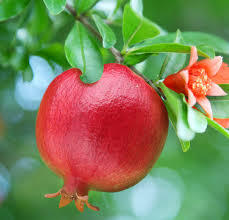 And from the earlier study, And from the earlier referenced study, " "We had found the PME (methanolic extract of pomegranate) has an anti-estrogenic effect on the mammary gland, without compromising the beneficial effects of estrogen in the cardiovascular and skeletal system and had no estrogenicity in the uterus. PME could possibly be considered as an ideal SERM and further studies might demonstrate its suitability and possible application in estrogen dependent breast cancers with beneficial affects in other normal dependent tissues....Furthermore, it would be valuable to investigate the long-term effects of PME in the in vivo models of estrogen deprivation to demonstrate its suitability in HRT (hormone replacement therapy). To achieve this goal, a better understanding is needed regarding the action of SERM, receptor, and coregulators that contribute to distinct patterns of gene expression." DOES POMEGRANATE HAVE AN IN VITRO ANTI-PROLIFERATIVE EFFECT ON BREAST CANCER CELLS? The pomegranate fruit is "a rich source of ellagitannins", known for their anti-cancer and anti-atherosclerotic properties. In this study, a break down of ellagitannins, the elagitannin-derived compound, urolithin B was chosen for this study due to its aromatase activity. The study found that urolithin B "significantly inhibited testosterone-induced MCF-7 cell proliferation." Other compounds also exhibited some anti-proliferative activity, but to "lesser degree than urolithin B." The researchers concluded, "These studies suggest that ellagitannin-derived compounds have potential for the prevention of estrogen-responsive breast cancer." ​DOES POMEGRANATE REDUCE BREAST CANCER TUMORS? ​A study investigated different pomegranate extracts in a mouse mammary gland culture. The fermented juice polyphenols decreased the number of lesions by 42% compared to the controls, while a more purified version of those polyphenols and pomegranate seed oil "each effected an 87% reduction. The results highlight enhanced breast cancer preventive both for the purified compound peak B and for pomegranate seed oil, both greater than previously reported for pomegranate fermented juice polyphenols." almost comparable to E2 (estradiol). Sjreeja S et al., 2012. ALMOST COMPARABLE TO ESTRADIOL (ESTROGEN)? In another study, ovariectomized mice were given either fresh pomegranate juice, pomegranate peel, or a mashed totum. No matter what part of the pomegranate, the pomegranate "up -regulated osteoblast activity and decreased the expression of osteoclast markers." The 2013 study concluded, "These results indicate that all pomegranate parts are effective in preventing the development of bone loss induced by ovariectomy in mice. Such an effect could be partially explained by an improved inflammatory and oxidative status." Runqing Lu et al., in an old 1999 study, tested resveratrol in estrogen positive breast cancer cells and found that resveratrol inhibited the growth of estrogen positive breast cancer cells in a dose-dependent manner. Resveratrol "antagonized the growth promoting effect of estradiol in a dose-dependent fashion at both the cellular (cell growth) and molecular (gene activation) levels." "In summary, our results show that resveratrol, a partial estrogen receptor agonist itself, acts as an estrogen receptor antagonist in the presence of estrogen leading to inhibition of human breast cancer cells." INHIBITS PROLIFERATION OF BREAST CANCER STEM CELLS!! 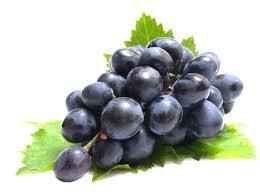 What is the effect of resveratrol on breast cancer stem cells? Increasing evidence supports the cancer stem cell theory and demonstrates that cancer stem cells have the capacity to drive tumor initiation, resistance and relapse/recurrence." The proportion of cancer stem cells is associated with an unfavorable prognosis. "On the motionless branches of some trees, autumn berries hung like clusters of coral beads, as in those fabled orchards where the fruits were jewels.."
WHICH IS MORE NUTRITIOUS - WILD BLUEBERRIES OR CULTIVATED BLUEBERRIES? The Kang J et al. 2015 study explored the antioxidant and anti-inflammatory activities of the two types of blueberries in the US, the highbush (cultivated) and the lowbush (wild) blueberries. Chlorogenic acid is the "predominant phenolic (polyphenols acting like antioxidants) acid in both species, "with the total phenolic in lowbush over three times higher than that of highbush blueberries." .... "Both phenolic acid mixtures were able to enter the cell and showed in cell antioxidant activities from the cell based antioxidation protection of erythrocytes." Adding to the power of the wild blueberries, the wild blueberries were found to have anti-inflammatory activities by inhibiting nuclear factor-kB and inflammatory cytokines. The 2015 Xlyun Sun et al. study commented that blueberries are "rich in bioactive compounds", but there had not been any reports on the mechanisms of action of polysaccharides (which are strings of sugar molecules) in blueberries. In an experiment, the researchers tested the isolated polysaccharide BBP3-1 in mice with cancer. This polysaccharide "inhibited the tumor growth rate by 73%." In addition, there was an up-regulation of the immune system, "increasing the thymus index and spleen index, enhancing lymphoyte conversion and multiplication capacity, promoting macrophage, phagocytosis, promoting immune factor secretion (TNK-a, IFN-y, and IL-2), and enhancing NK activity." Thus, this is a "first report on the anti-cancer and immune adjustment" potential of a polysaccharide from blueberries." Does blueberry powder have any effect on estradiol (estrogen)-caused breast cancer? In a 2013 study, Jeyaprakash Jeyabalan et al. tested a 5% blueberry powder diet in animals either 2 weeks before or 12 weeks after introducing estradiol. The results? The blueberry powder "delayed the tumor latency (time from exposure to evidence of disease) for palpable mammary tumors by 28 days and 37 days, respectively. Tumor volume and multiplicity were also reduced significantly in both modes." How does blueberry powder work? Down-regulation of CYP1 and ER-a gene expression, plus a change in different microRNAs. Blueberry powder is preventive and therapeutic! What is the effect of blueberry powder on inflammation-induced triple negative breast cancer, which is a cancer more prone to relapse? In Kanaya N.et al's 2014 study, researchers created an inflammatory environment in tumor-bearing mice fed a high fat western diet with 5% blueberry powder. The results? There was "significantly smaller tumors, less ulerceration, and significantly less metastasis" in the mice supplemented with blueberry powder than in the mice strictly fed the high fat western diet. "In the blueberry-fed mice, serum levels of specific anti-inflammatory cytokines were increased and specific cytokine expression was also altered." Thus, "These results suggest that blueberries may inhibit triple negative breast cancer and triple negative-related metastasis by reducing inflammation via specific cytokine-driven pathways and thus reduce tumor growth and metastasis." "The observed protection from tumorigenesis upon pretreatment with strawberry extracts emphasizes the importance of strawberry fruits." Apoptosis in Cells: "When p53 (a tumor suppressor gene) is mutated in breast cancer, the strawberry extracts "can modulate the expression of p73" and "activate the mitochondrial pathway by apoptosis" to stop cell proliferation." Inhibits Tumor Progression: In mice with tumors, the strawberry extracts resulted in a "significant reduction in tumor volume." There was a "decrease in cell proliferation as well as activation of apoptosis following treatment with the strawberry extracts, suggesting regression of tumor in mice models." This study "reveals that strawberry fruits possess both cancer preventive and therapeutic values..."